Home » What the Scrim? As a professional window cleaner, I have tried every window cleaning cloth out there. Now, mind you, I don’t clean the glass with the cloth, the window cleaning cloth is used to wipe the edges of the window dry after using a squeegee and to touch up small spots that may have been missed. As small a role as this is, it’s still important to use the highest quality cloths because you don’t want lint or smears on your windows, even if it’s just at the edges. When I first started out in the window cleaning trade, I used whatever cloths I had lying around: terry cloth towels, old rags and the occasional cheap microfiber cloth. Later on, when I got more serious about my craft, I found surgical cloths. Surgical cloths are lint-free cloths, usually blue in color, used by surgeons to absorb fluids. They are designed to be lint-free so that they do not introduce any foreign particles into the patient. The surgical towels were working pretty well for my window cleaning needs… for awhile. But being the perfectionist that I am, I wanted something even better. Then, one day, I discovered Scrim. 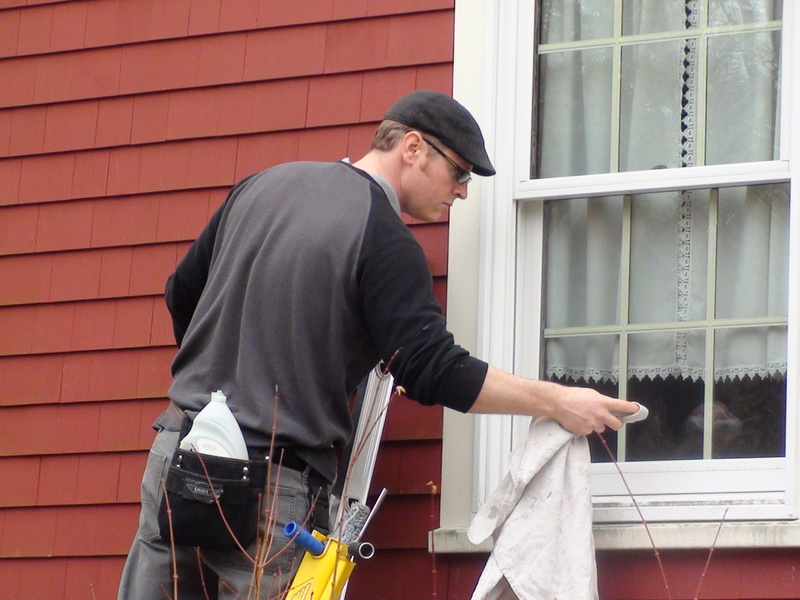 Scrim is a cloth made especially for window cleaning. In fact, Window cleaners in Europehave been using them for 50 years. These high quality cloths are made from densely woven linen which makes them very absorbent, lint-free, and able to dry out quickly. It made me laugh because the solution was right under my nose the whole time: my favorite summer pants and my summer hat are both made of linen. So I knew how cool and airy it was and how it had the amazing ability to quickly dry. Who knew that my pants could clean window, though? ← To Razor or not to Razor?